Are you planning a milestone event like a wedding, anniversary, family reunion or birthday party? Or are you planning a small meeting, educational conference, trade show or team building event? 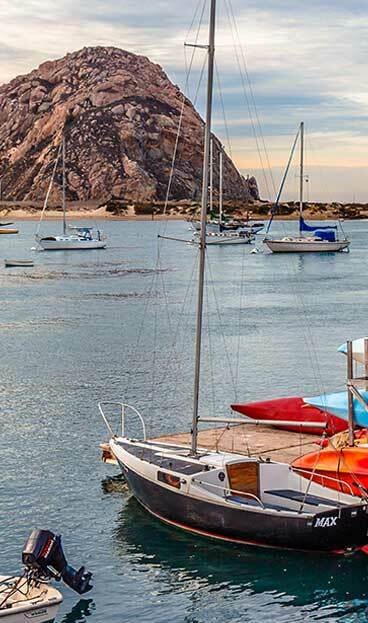 The Morro Bay Tourism Bureau can help connect you to some of the traditional or unique venues in the area that will create the ideal experience you are seeking to make a lasting impression. We can also match you up with overnight lodging and group activities to enhance the overall experience. Booking tours or site visits. Booking hotel rooms or lodging. Information on current promotions, discounts and rates. Assistance with group activities, itineraries or dining options. Finding photos and materials for promotion efforts. Connecting with local vendors and services. Finding out more about Morro Bay. Contact us at (805) 225-7411 or at jlittle@morrobayca.gov.